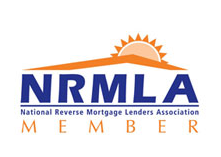 Deciding to move forward with a Reverse Mortgage is a big decision. It is your home and most likely your largest asset. It may seem like an overwhelming process now because you most likely are not aware of how it truly works. The truth is that people have concerns, fears, and questions whether this is right for them. That is only natural as what you don’t know or truly understand creates that feeling. It is important that you have a proper understanding of this program and are comfortable with how it works since there are numerous misconceptions. My experience has shown that once an individual completes the process they wonder why they didn’t do it sooner. There is a high satisfaction rate (surveys show over 90%) with the Reverse Mortgage amongst the individuals who have taken out this program. Why wouldn’t they? Monthly principal and interest mortgage payments are eliminated, additional upfront cash may be available, monthly advances may be paid, and/or a line of credit might be set up. Now at the later stages of my client’s life, they have financial relief, peace of mind, and more security in their retirement years all while still holding title to the property in their names. It just sounds too good to be true, doesn’t it? Well, let’s see if it is. We want to separate fact from fiction and dispel any myths. We are here to help make that process as easy as it can be. The whole reverse mortgage process can be done from the comfort of your home – the counseling from a HUD approved counseling agency, the application, and the final signing of loan documents – it can’t get much easier. We want to be your reverse mortgage resource. It is our responsibility to assist you in becoming educated about this program and to help you become an informed borrower so that you can make the right decision. We will help you every step of the way. We will be here for you before, during, and after the loan closes. Let’s get started!